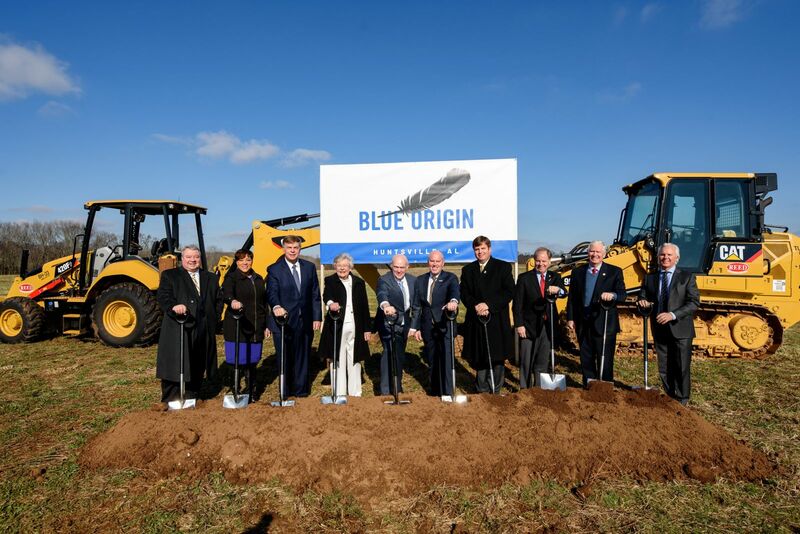 On Jan.25, 2019, Blue Origin broke ground on its new engine production and assembly facility in Huntsville, Alabama, about 25 miles from United Launch Alliance’s Decatur assembly facility. In September of 2018, United Launch Alliance (ULA) and Blue Origin established a partnership meant to help jointly-fund an engine compatible with ULA’s Vulcan rocket that’s currently under development. Since that agreement, steady progress has been made, with Friday’s ceremony representing the latest stop in that progression. Developed by Blue Origin, two BE-4 engines are designed to provide the main source of thrust for the Vulcan rocket. These new engines are also being produced to serve on other future ULA launch vehicles, as well as Blue Origin’s own New Glenn launch vehicle. “Last September, United Launch Alliance (ULA) selected our BE-4 engine to power the Vulcan rocket. Then in October, both our New Glenn launch vehicle and Vulcan were selected by the United States Air Force in its Launch Services Agreement contract. This means two out of the three major launch systems flying national security space missions will be powered by engines produced in our Huntsville facility,” Blue Origin’s CEO Bob Smith stated via a company-issued release. Representatives with ULA welcomed its partner with a strong show of support during the Jan. 25 ceremony. “United Launch Alliance welcomes Blue Origin to the great state of Alabama and to join the other aerospace companies that have made Rocket City our home for decades. A little more than three months ago, ULA chose Blue Origin’s BE-4 engine to power our Vulcan Centaur rocket, which we are manufacturing at our facility in Decatur, Alabama. I am pleased that Blue Origin has chosen to join the more than 200 ULA suppliers doing business here in Alabama,” ULA’s CEO and President, Tory Bruno said. In addition to being the home of Blue Origin’s new facility, Huntsville also has a rich history in terms of spaceflight. This legacy dates back to 1950 when Army employees began working on rocket and missile initiatives at the Redstone Arsenal. In 1960, NASA established the Marshall Space Flight Center, which is currently oversees the development of NASA’s Space Launch System, and the science currently conducted on the International Space Station. Blue Origin is hoping to take advantage of its facility’s proximity to Marshall by negotiating the use of Marshall’s 4670 Test Stand to check out the newly-assembled BE engines. ULA has had a presence in Decatur, Alabama since 2005, where it currently manufactures and assembles its arsenal of rockets (especially the Atlas V and Delta IV family of rockets). 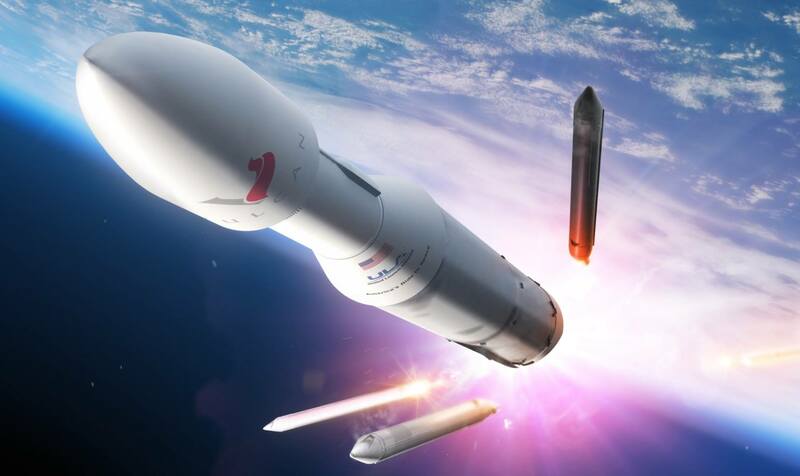 The company plans to build its Vulcan rocket at its plant in Decatur. Blue Origin chose Huntsville due to its proximity to ULA’s manufacturing plant and it hopes to open its Huntsville facility in March of 2020. “We look forward to our partnership with Blue Origin, building the advanced BE-4 engine to power our next-generation rocket, right here in Alabama,” Bruno said. They look healthy enough. I’m sure they will excavate a good foundation in no time.